Winery Tastings are by appointment. Reservation required for visit. Up to 20 People. More allowed if tastings held at outside tasting area during summer hours. Pet-friendly, but must be mentioned at time of reservation. 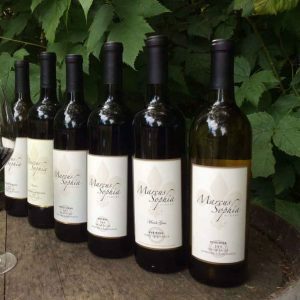 Marcus Sophia Winery is known for the small production of single-vineyard, award-winning and critically acclaimed wines, sourcing grapes from the finest vineyards in Washington State.